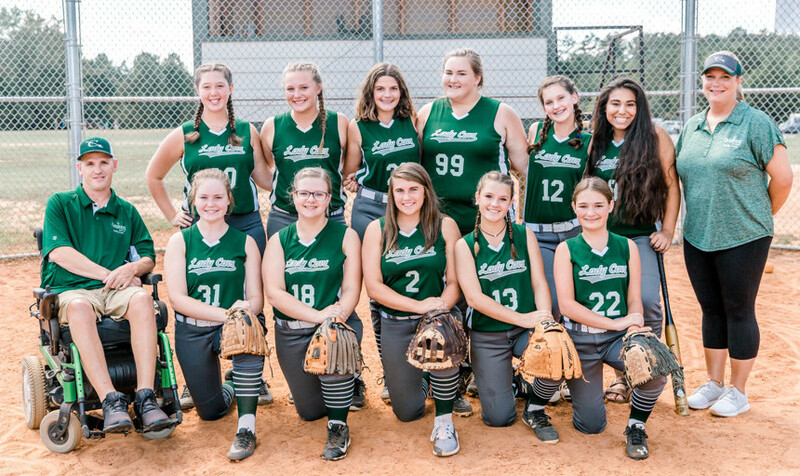 CrossPointe Christian Academy’s varsity girls softball program just completed the season with a 4-4 region record and a 4-6 overall record, a solid performance for CrossPointe’s first foray into fall varsity softball. The Lady Cavs, coached by Dewey Skidmore, played five schools in 10 games throughout the fall season within Division 1, Region 1 of the Georgia Independent Christian Athletic Association. The Lady Cavs will hit the diamond again next fall with hopes of competing for a region title. Back row: Coach Dewey Skidmore, Abbey Slauson, Lainey Schoenhoff, Amanda Worley, Halie Gwyn, Amariss Jarrett, Assistant Coach Brittany Banks. Front row: Dakota Bentley, Tobi Shelnutt, Lily Waters, Katie Skidmore, Brittney Findley.